Alamo Heights is a part of Presbyterian Church. The Presbyterian Church or PC is a mainline Protestant Christian denomination in the United States. It is part of the Reformed family of Protestantism, descending from the branch of the Protestant Reformation over which John Calvin had a strong, early influence. Our church is in Mission Presbytery. 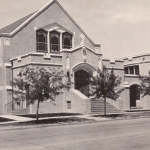 Alamo Heights Presbyterian Church began in 1912 motivated partially because of the distance between their homes and the downtown churches. 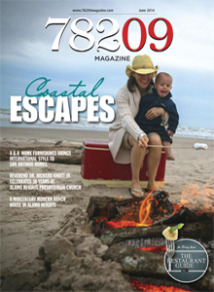 The first communicants held services in their homes bi-weekly, because the Rev. 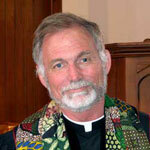 McStavric conducted services every other week in another area church in San Antonio. 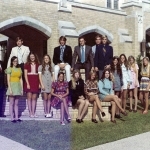 In about one year a Sunday School was organized, and the church and the class met in a former building of Alamo Heights School. The Board of Missions in Pittsburgh was petitioned for money to buy a site for a church, and when the grant was made the old building was moved to the corner of Townsend and Abiso Avenue. 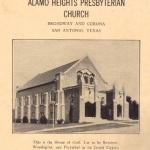 Until 1916 there was no official connection between the Alamo Heights Church and any denominational organization, but in that year the Session of the First United Presbyterian Church of San Antonio was constituted as a commission to organize a United Presbyterian Church of Alamo Heights. Thirteen charter members made up its congregation and the first service was held October 6, 1916 with Rev. McStavrick preaching. 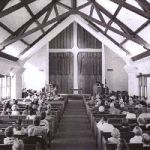 In 1927 the congregation bought the present site at the corner of Broadway and Corona for $8,000; at about the same time the church became a member of the Southern Presbyterian Church and was joined to the Presbytery of Western Texas, Waco. 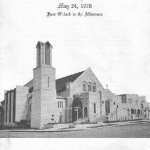 The church building was dedicated July 12, 1931. The first portion of the current church structure was completed in 1931. It served as the total facility for church school, and church services for twenty years. Membership of the church grew as new homes were built after the war, especially in the 1950s, and the expansion of the church facilities kept pace. In 1952 the new Education building financed by the sale of bonds, was completed and the front part of the church was remodeled. It was adequate for the Church School enrollment at the time but within a few years it was overcrowded with enthusiastic students and teachers. Also in 1952 the first floor of the Education Building was used for a Day School for four and five year old children. The Sanctuary and the lower auditorium were air conditioned in 1954 and the Education Building was air conditioned several years later. In 1956 the house West of the church was purchased, It was affectionately called “Our House” and was used primarily as the meeting place of the numerous, enthusiastic senior high school students for Sunday morning and Sunday evening activities. It served a very essential purpose until 1969, when the land was needed for the expansion project. The site for the parking lot across the street from the church, was bought in 1963 and the parking lot was completed the next year. The lower auditorium was renovated in 1958. 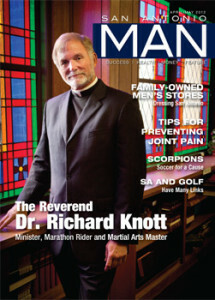 After years of struggling with the problem of expanding the church facilities the congregation undertook a major expansion program (costing about $340,000.00 )including the enlargement of the Sanctuary, the construction of offices, a library, additional classrooms, and the Robertson Tower with the elevator. The enlarged sanctuary increased the seating capacity of the building from 300 to 500 people for worship. Additionally the front entrance to the sanctuary was changed so that the steps leading to the entrance face north and south instead of east. The Hugh Robertson memorial Tower was added in memory of Dr. Hugh Robertson who served as minister from 1944 to 1962. Sunday School at 9:30 a.m. Early Worship Service at 8:30 a.m. 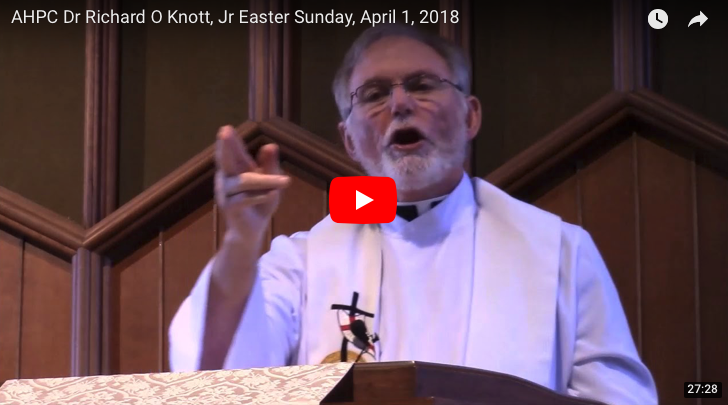 Regular Worship Service at 11:00 a.m.